From August 20th until September 2nd, artists, journalists, students and activists came to the twin cities of Frankfurt Oder and Slubice. 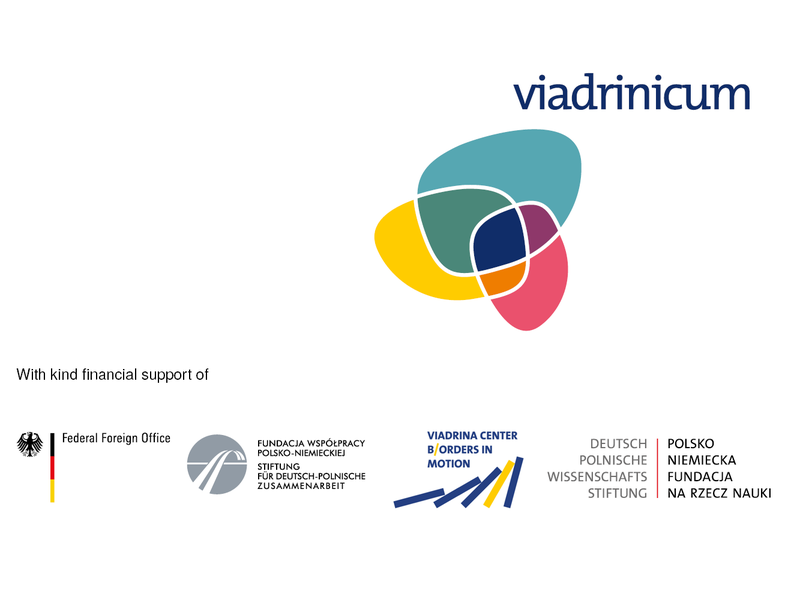 The official blurb: Viadrinicum is an annual summer school devoted to the countries of the Eastern Partnership region with a special focus on Ukraine. In 2018 it took place in the form of a Transsectoral PeaceLab, aiming to tackle the issues of peace and (military) conflicts from multiple theoretical and methodological perspectives. With a strong emphasis on participatory formats, the school allowed us to deepen our knowledge about conflict prevention, conflict transformation and peace mediation and enhance our practical and methodological skills in the framework of several project-oriented workshops. Students, PhD candidates, young NGO activists and artists (up to 35 years of age) from all fields were invited to apply. So we came. Sounds quite nice, on paper, yes? We thought so too — and we wanted to share what we learned. We’ve gone and collected all the good stuff and crammed this site with content from presenters and participants. Our goal: create a one-stop hub for all the resources PeaceLab 2018 has to offer. And we’ve got a lot. The project is always available at this link. Previous Post Previous post: Who owns Post-Conflict in Post-Conflict Ukraine?